A peached microfiber exterior shell designed to withstand the damages of extreme washing with an inner layer of inviting plushness. 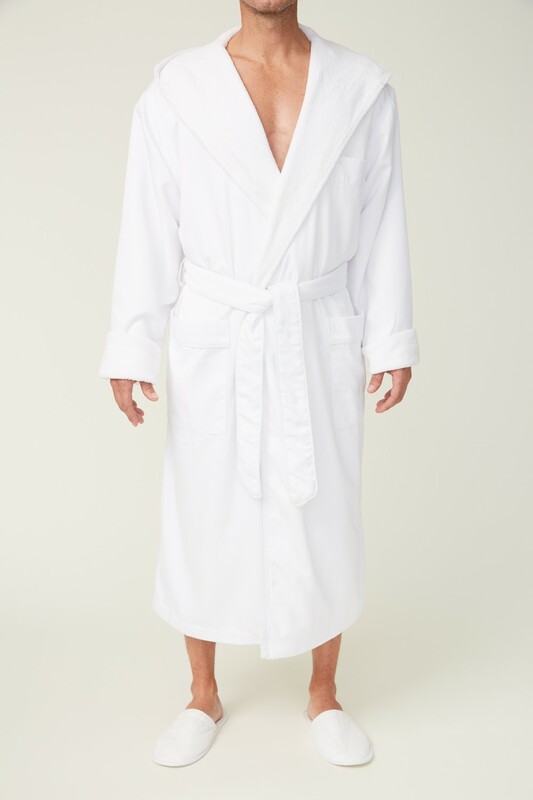 Bathrobe details include adjustable belt loops for flexible belt height, patch front hip pockets, a hood, tonal accent piping and hanger loop for convenient storage. Featuring a welted breast pocket allowing embroidery free interior and fully closed hem, insuring tangle-free laundering.